By determining simple guidelines, researchers at UC Santa Barbara's Solid State Lighting & Energy Center (SSLEC) have made it possible to optimize phosphors a key component in white LED lighting allowing for brighter, more efficient lights. "These guidelines should permit the discovery of new and improved phosphors in a rational rather than trial-and-error manner," said Ram Seshadri, a professor in the university's Department of Materials as well as in its Department of Chemistry and Biochemistry, of the breakthrough contribution to solid-state lighting research. The results of this research, performed jointly with materials professor Steven DenBaars and postdoctoral associate researcher Jakoah Brgoch, appear in The Journal of Physical Chemistry. LED (light-emitting diode) lighting has been a major topic of research due to the many benefits it offers over traditional incandescent or fluorescent lighting. LEDs use less energy, emit less heat, last longer and are less hazardous to the environment than traditional lighting. Already utilized in devices such as street lighting and televisions, LED technology is becoming more popular as it becomes more versatile and brighter. According to Seshadri, all of the recent advances in solid-state lighting have come from devices based on gallium nitride LEDs, a technology that is largely credited to UCSB materials professor Shuji Nakamura, who invented the first high-brightness blue LED. In solid-state white lighting technology, phosphors are applied to the LED chip in such a way that the photons from the blue gallium nitride LED pass through the phosphor, which converts and mixes the blue light into the green-yellow-orange range of light. When combined evenly with the blue, the green-yellow-orange light yields white light. The notion of multiple colors creating white may seem counterintuitive. With reflective pigments, mixing blue and yellow yields green; however, with emissive light, mixing such complementary colors yields white. Until recently, the preparation of phosphor materials was more an art than a science, based on finding crystal structures that act as hosts to activator ions, which convert the higher-energy blue light to lower-energy yellow/orange light. "So far, there has been no complete understanding of what make some phosphors efficient and others not," Seshadri said. "In the wrong hosts, some of the photons are wasted as heat, and an important question is: How do we select the right hosts?" As LEDs become brighter, for example a they are used in vehicle front lights, they also tend to get warmer, and, inevitably, this impacts phosphor properties adversely. "Very few phosphor materials retain their efficiency at elevated temperatures," Brgoch said. "There is little understanding of how to choose the host structure for a given activator ion such that the phosphor is efficient, and such that the phosphor efficiency is retained at elevated temperatures." However, using calculations based on density functional theory, which was developed by UCSB professor and 1998 Nobel Laureate Walter Kohn, the researchers have determined that the rigidity of the crystalline host structure is a key factor in the efficiency of phosphors: The better phosphors possess a highly rigid structure. Furthermore, indicators of structural rigidity can be computed using density functional theory, allowing materials to be screened before they are prepared and tested. 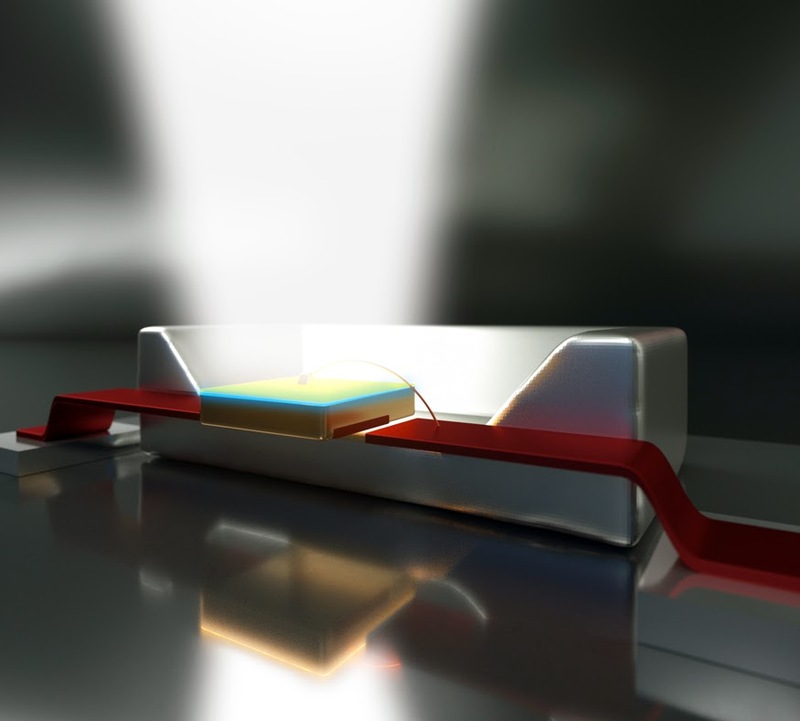 This breakthrough puts efforts for high-efficiency, high-brightness, solid-state lighting on a fast track. Lower-efficiency incandescent and fluorescent bulbs which use relatively more energy to produce light could become antiquated fixtures of the past. "Our target is to get to 90 percent efficiency, or 300 lumens per watt," said DenBaars, who also is a professor of electrical and computer engineering and co-director of the SSLEC. Current incandescent light bulbs, by comparison, are at roughly 5 percent efficiency, and fluorescent lamps are a little more efficient at about 20 percent. "We have already demonstrated up to 60 percent efficiency in lab demos," DenBaars said.